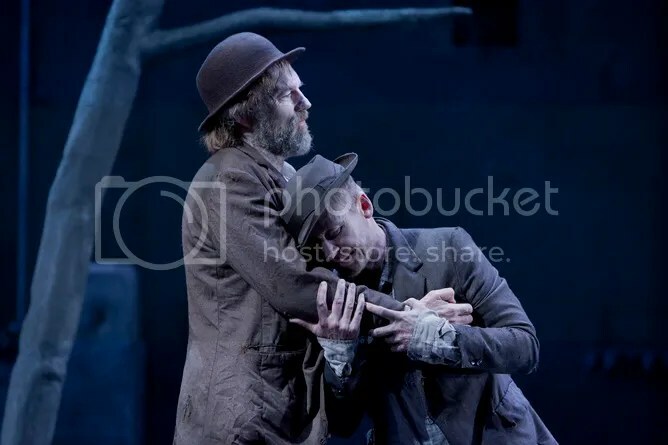 Sydney Theatre Company’s production of Beckett’s classic Waiting For Godot continues to draw sellout crowds and near-unanimously positive reviews rivaling those of the current New York production (which stars Ian McKellen and Patrick Stewart.) 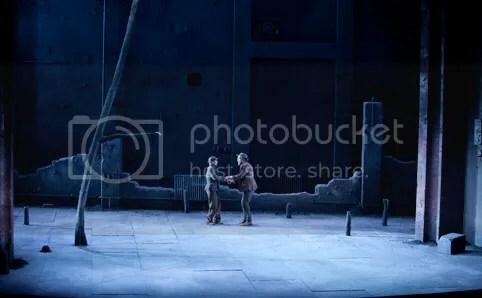 More of Lisa Tomasetti’s production images seem to appear with each new review, so I’ll share the latest batch of both. (As always, click on links to read full reviews at sites of origin.) I also have two new print reviews to share under the cut. 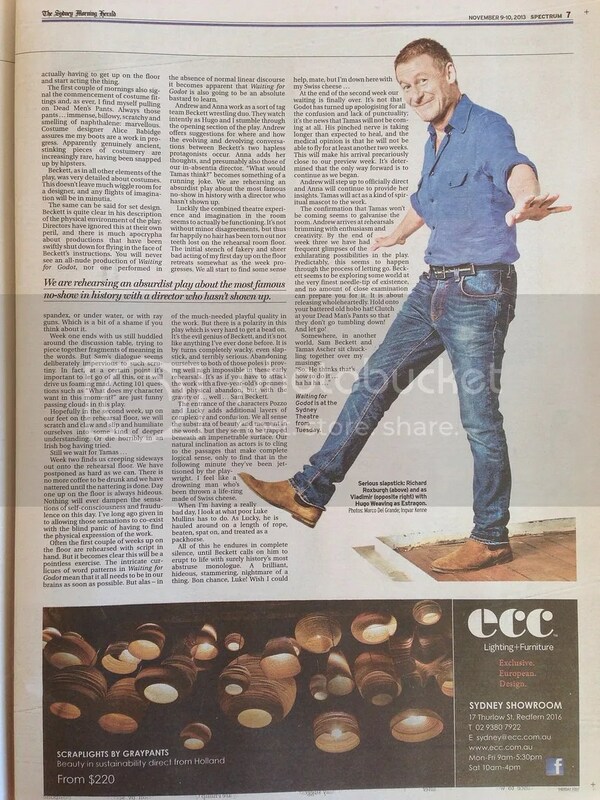 Sunday Telegraph Review: Jo Litson; Photo: Lisa Tomasetti. Note: You can read a longer version of Jo Litson’s review online here. David Kary, Sydney Arts Gude: “Comic?…Yes…but the humour is so dark…gallows humour…Black on Black. There is no let up. Desolation..
Sydney Outsider: “Anyone who has read the play or seen a sub-par production might be wary about going to the STC’s production. The exchanges between Didi and Gogo can become confusing, tedious, or a mixture of both. Here well-tuned performances let Beckett’s words shine with all the wit they deserve. The physicality the players bring to their roles makes the characters all the more compelling. I was so enthralled I soon forgot the over-powering stench of perfume coming from the big lady next to me…. At the outset of the play I expected the tale of two men waiting for hours might not resonate with an audience more used to constant titillation and instant gratification. If anything Didi and Gogo’s anxiety at their predicament and need for distraction was shockingly relevant for a modern audience desperate to feel connected constantly – a couple of them so desperate they refused to turn off their mobiles until they rang loudly in the final scenes…. Augusta Supple, Australian Stage: “Weaving’s Vladimir is upright, articulate and grand in his broadness. 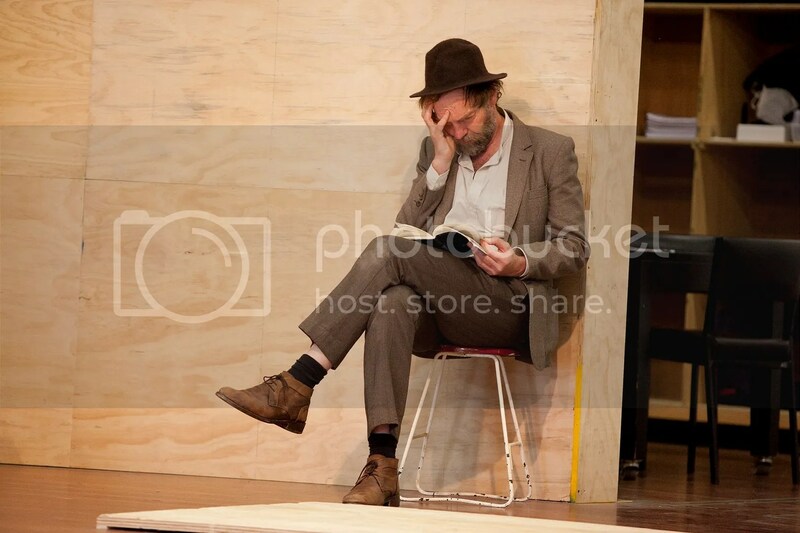 Roxburgh’s Estragon is a small aching poet, finely sketched and crumpled. Mullin’s Lucky is filled with ghostly agony, red raw urgency and a vicious streak. 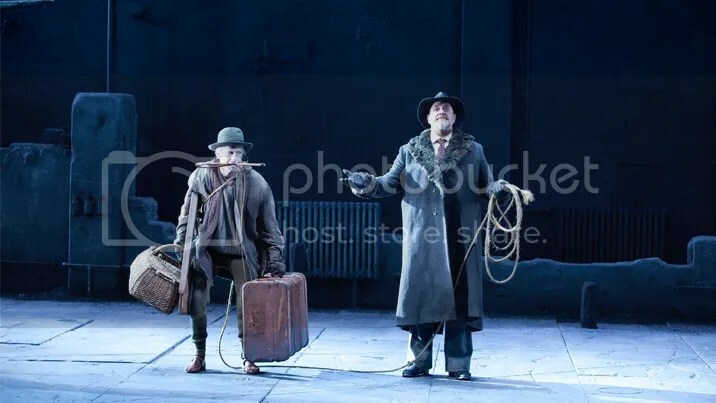 And it is Quast as Pozzo who fills the stage with a mighty and impressive voice – the central sun around which Didi and Gogo orbit. 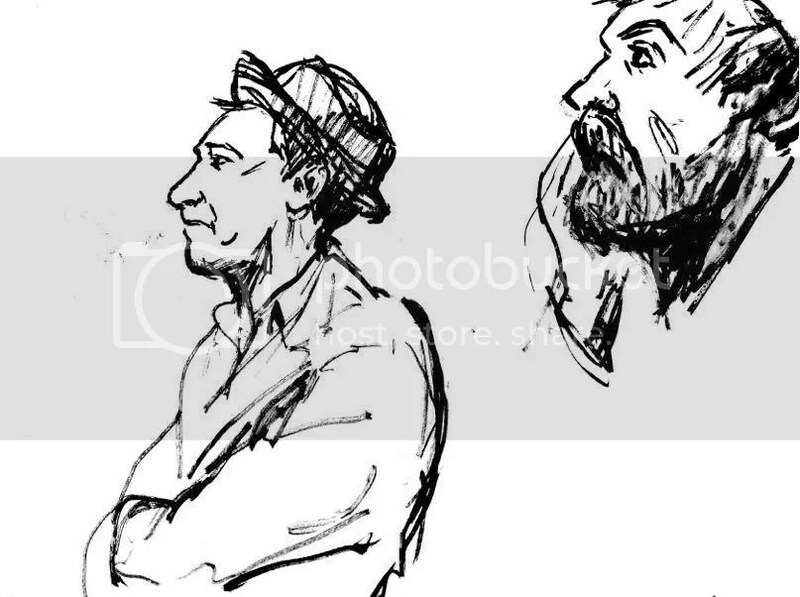 It is in this Waiting for Godot we see the wide reaching universality of oppression, the surrender of control – the desire for control and to be controlled, the need for direction and for the obedience of others – for the complicity in the shape of our own destinies…. 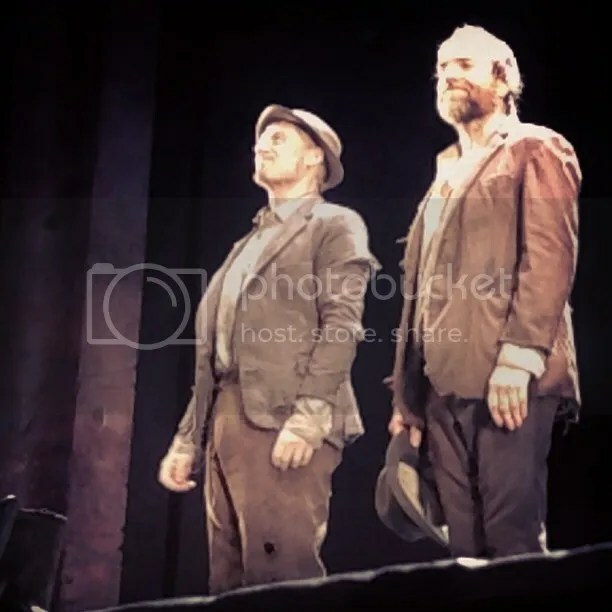 I’ve saved the best for last… our Sydney Correspondent Yvette attended the Night With The Actors performance of Godot, which featured a Q & A with the actors, and had a prime vantage point for excellent photos. I’ll share them with you below. 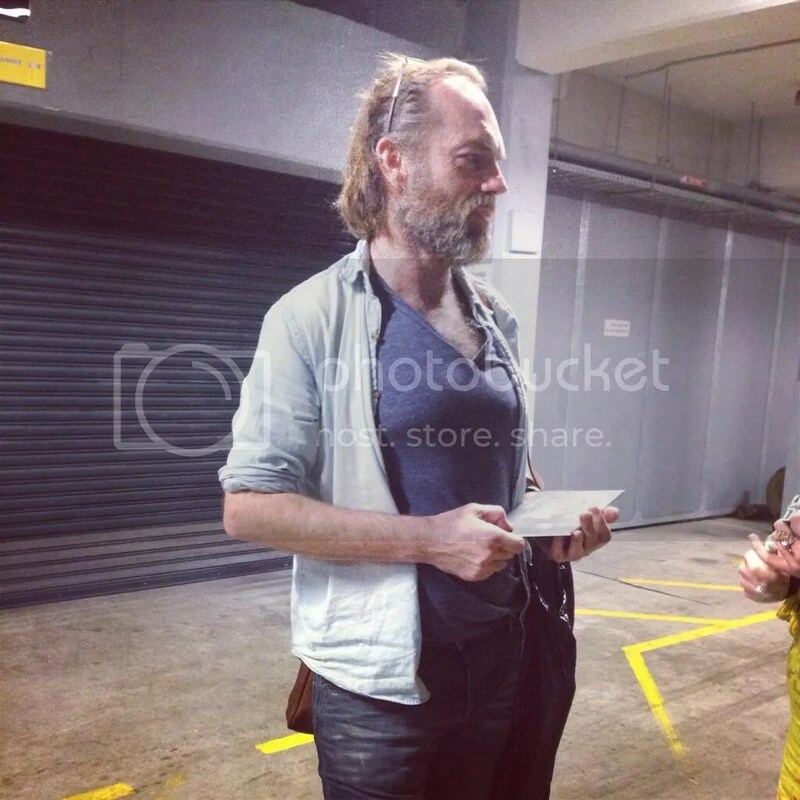 She also met Hugo after the show and helped obtain an autograph for another fan… as always, the soul of generosity. My thanks again! Again, thanks to Yvette, and all others who’ve shared photos and impressions. Healing just had its first “cast and crew screening” at Healesville Sanctuary, where some scenes were filmed, recently. 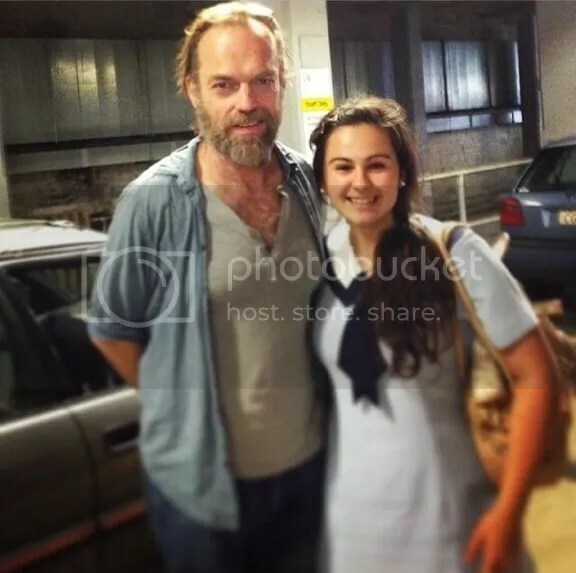 The event was reported by Zoos Victoria; Hugo Weaving was unable to attend due to a meeting that keeps being mysteriously rescheduled. 😉 The film will have another advance screening for Zoos Victoria members early next year, in advance of its Australian release the first week of April. Mystery Road is already scheduled for a TV screening early next year, according to TV Tonight. 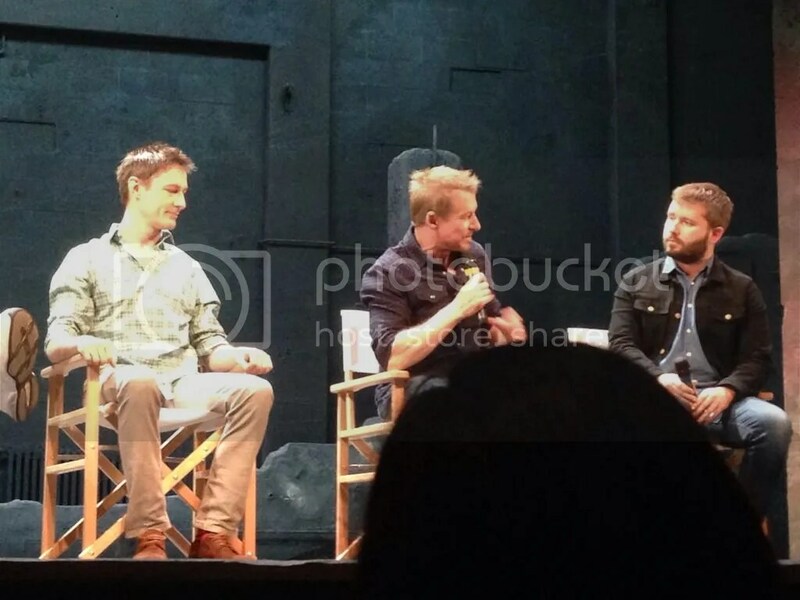 It will air on ABC1 (Australia) on 26 January. The film is still in theatres in some parts of Australia: new reviews (all largely positive) were recently posted at ABC North Queensland, SparlyPrettyBriiiight and Early Bird Film Society. No word yet on the DVD/Blu-Ray release schedule, or the specifics of its US release, slated for early next year. I’ll share those details as soon as I know them. 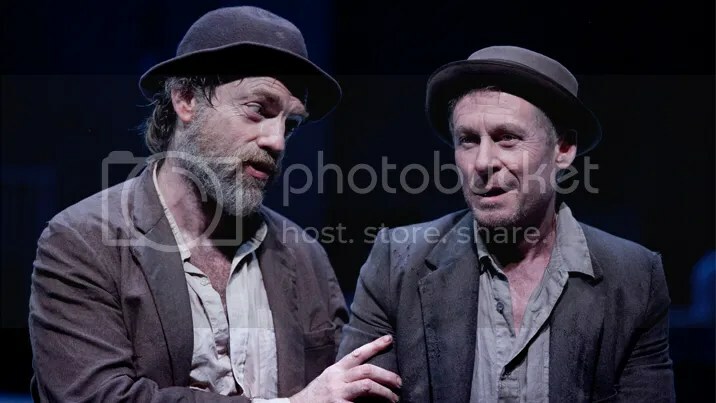 Several new reviews for Sydney Theatre Company’s production of Waiting For Godot have been posted since my last update, including several with great new photos… I’ll share excerpts here, but many warrant full reading at the sites of origin: just click on the links. 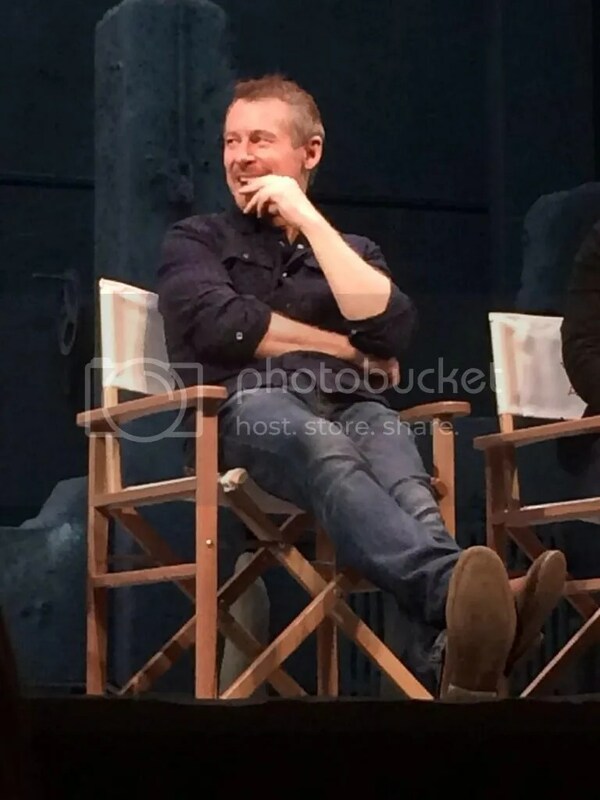 All photos are by Lisa Tomasetti/STC. 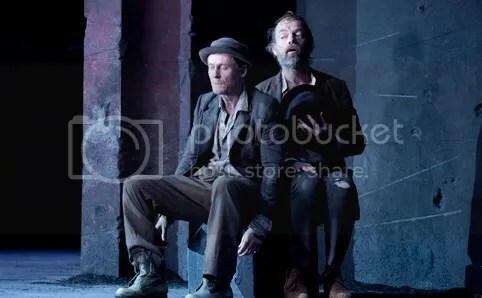 Vicky Frost, The Guardian: ” In Sydney Theatre Company’s production, which stars Richard Roxburgh and Hugo Weaving as tramps Estragon and Vladimir, it is the humour that provides many of the show’s most memorable moments…. 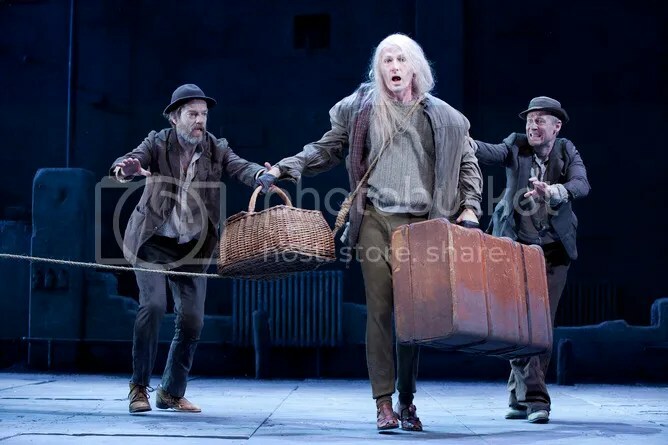 Roxburgh and Weaving play the men as an old couple, married in their youth and now facing old age: dependent on each other for companionship, perhaps even love, but never able to shake the niggle they could have done better elsewhere. They flirt, they argue, they fall back on the familiar refrains which punctuate their life together. The pair are physically close – Didi often with his hand on friend, guiding him – and despite the bellowing and proclamations to the contrary, seemingly unshakeably linked…. This production was due to be directed by Tamas Ascher, who was prevented from traveling by illness. 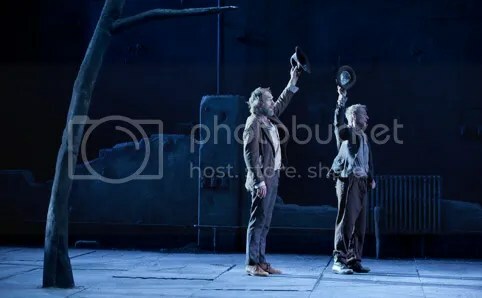 Instead, STC’s artistic director Andrew Upton stepped in, assisted by Anna Lengyel, and this Godot is notable for the physical direction – most particularly in the case of Pozzo (Philip Quast) and Lucky (Luke Mullins). 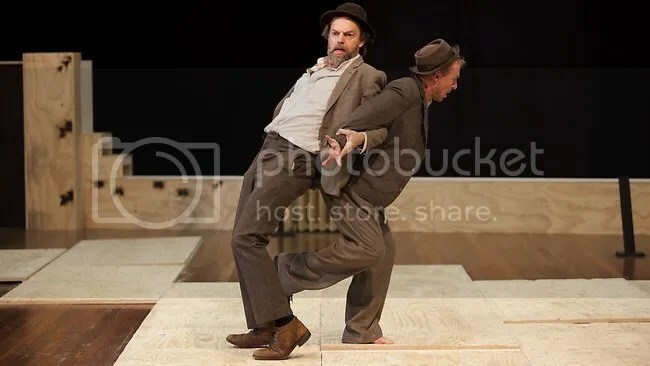 The pair arrive on stage in striking style, as if drawn by a cartoonist, their bodies curving and straining in opposite directions; Lucky a fragile, twitching bird of a man, Quast solid and booming…. 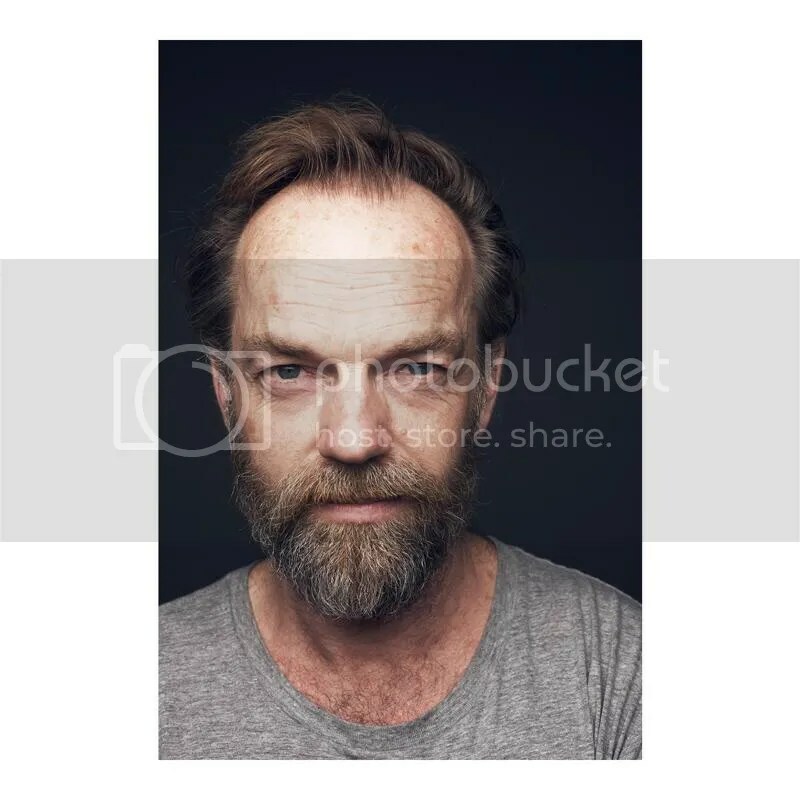 Lloyd Bradford Syke, The Daily Review/Crikey.com : “When the production’s two leads are Hugo Weaving and Richard Roxburgh, one suspects [director Andrew] Upton mightn’t have had to do too much beyond telling them where to stand…. First of all, it’s funny, but Beckett’s genius here transcends the work’s humour. While keeping a momentum of gentle amusement throughout, there is an ever-present undercurrent of deeply affecting sadness and there’s not a better example than in the first minutes. Gogo wants change, or he wants out. He can no longer bear the boots he’s wearing, yet he must. They’re his. This is his lot…. Upton and his cast have locked-on to the essence of the play. Roxburgh’s comic timing and sensibility is spot on and as the tired, glass-half-empty member of the duo, he calibrates his performance incisively. Both he and Weaving are so comfortable in front of a large audience they’re able to focus absolutely on the finer points of their respective performances, down to the meter of their speech and their pauses. Weaving is masterful: we see the cogs of Didi’s mind turning, mustering the hint of inspiration both he and Gogo need to go on just one more day. It’s the only way in which their lives can be measured. And so they must wait. 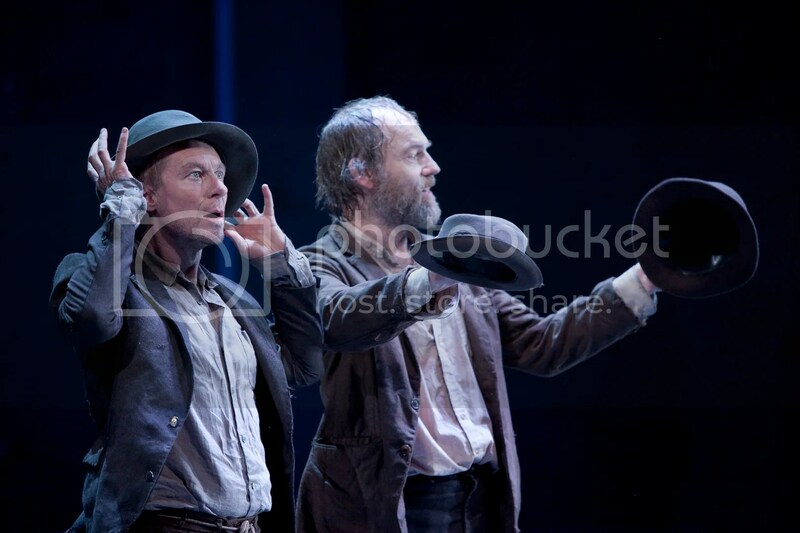 And it’s as well they wait for a fictional saviour like Godot…. 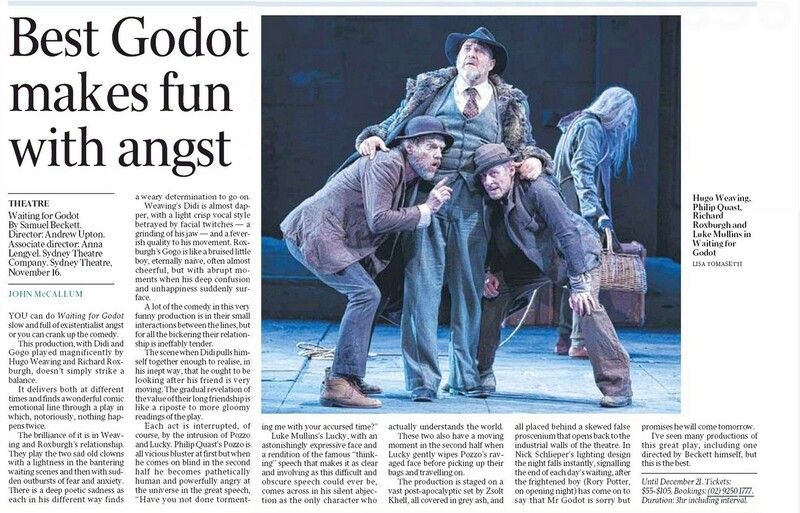 Chris Hook, The Daily Telegraph: “Meaning, in Godot, is hotly contested, the subject of myriad debates and discourses (a Christian reading is the most obvious but Beckett denied this)…. Vladimir and Estragon’s fruitless wait for a man called Godot is everything and nothing, the pointlessness of our existence at its heart. 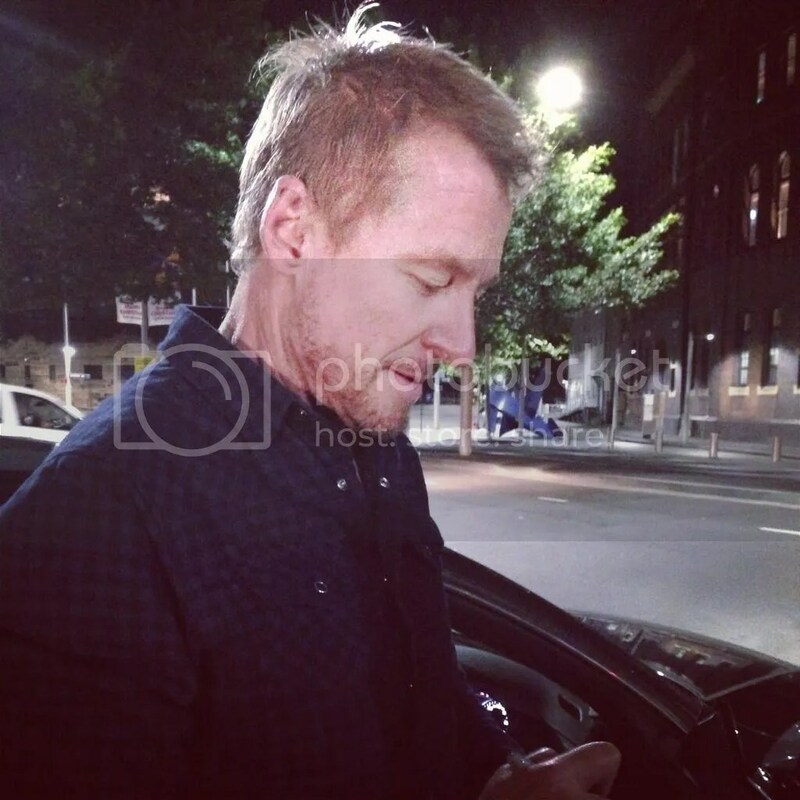 But this is, after all, a comedy and Weaving and Roxburgh acquit themselves expertly, as they banter and clown about while milling around a dead tree, passing time as they wait…. Anthony Ulhmann, The Conversation: “The major participants to the play all make their own particular contributions to a conception that seems to follow from one thing: Upton indicates in his notes to the program his interest in theatre history and positions Beckett as “post-naturalist”…Any production of any play is an interpretation and what makes this valid or otherwise is not any academic or theoretical argument but whether or not the production itself stands up. In order to do this the interpretation has to be coherent and plausible within the work…. Upton’s production, then, is ambitious. It is also largely successful…. 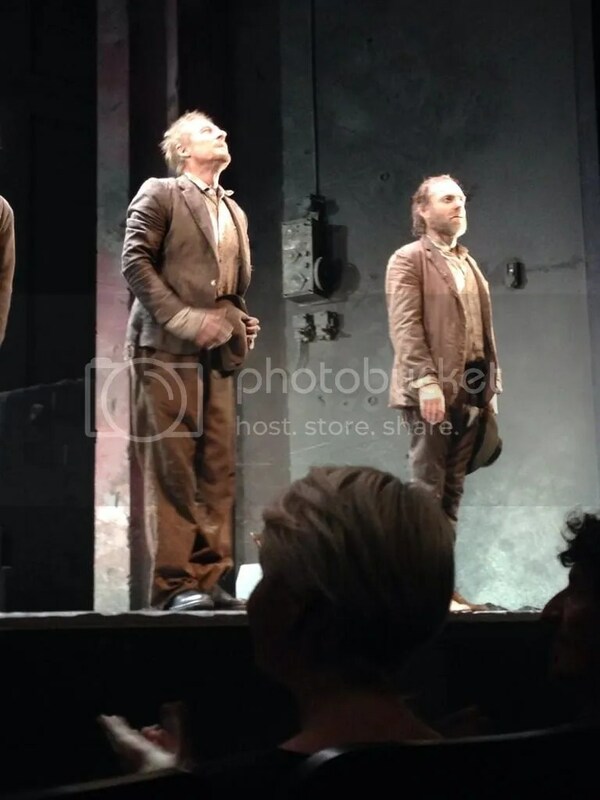 The first act on the opening night was a triumph: Hugo Weaving’s Vladimir in particular shines as a creature of the air, someone who is – and this is rarely noticed in other productions – capable of rising above almost anything… In response to him, Roxburgh’s Estragon creates a creature of the ground, the downbeat to Weaving’s up… Yet in doing this, rather than changing Godot to turn it into a naturalist play, Upton is aware that what needs to happen is an exchange: naturalism is brought into dialogue with the anti-naturalist…. Upton chooses to work with a kind of comic melodrama because this offers continuity with a naturalist tradition. It might break with received or authorised interpretations but an extremely interesting coherence emerges. Upton, in effect, has done something very hard. He has offered new light on a play we thought was getting old. Or perhaps it is just that he has made it real for his audience…. 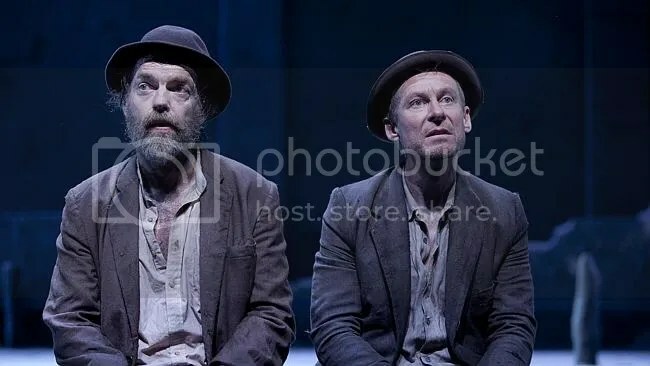 Leigh Livingstone: “Audiences expect high-calibre productions from this theatrical institution and even when casting stars like Hugo Weaving and Richard Roxburgh – two powerhouses of the Australian entertainment industry – raises the anticipation through the roof, Waiting for Godot delivers the goods…. 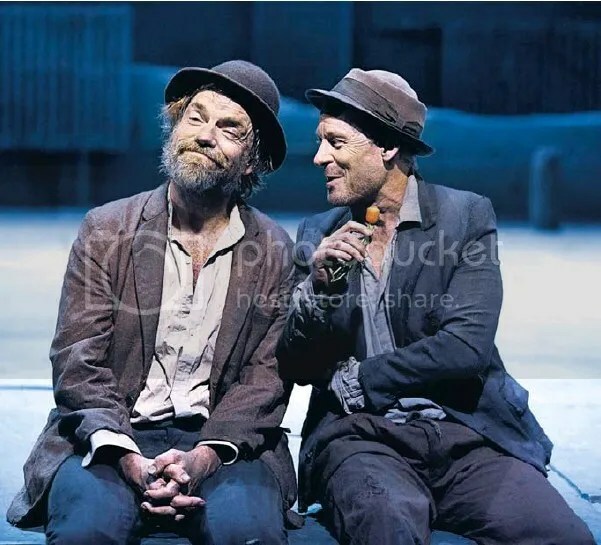 In the hands of Hugo Weaving and Richard Roxburgh, Vladimir and Estragon come over as a cross between Stiffy and Mo and Edward Albee’s George and Martha. Resenting their interdependence but terrified of loneliness, they bicker and make up and attempt to find ways to pass the long daylight hours… Weaving’s Vladimir is the more optimistic of the two. He still has some hope that things will get better and that Godot will arrive, but his glazed smile and anxious eyes betray the immense effort needed to remain positive, and his final outburst when the boy tells him that once again Godot will not come is shattering… Roxburgh is an unusually active Estragon. Despite his sore feet, he buzzes around the stage like a fly trapped in a bottle. Less bright than Vladimir but more realistic, he sees his situation as hopeless. And Roxburgh brilliantly shifts gears from comedy to despair and back again. 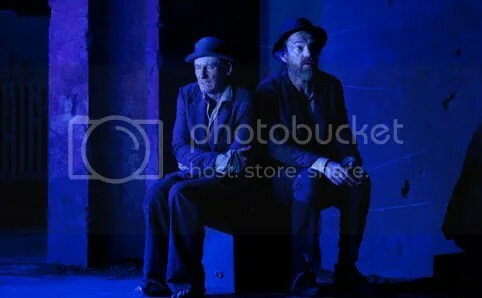 Deborah Jones: “SYDNEY Theatre Company’s Waiting for Godot offers, above all, the grace of tenderness and the gift of generosity. 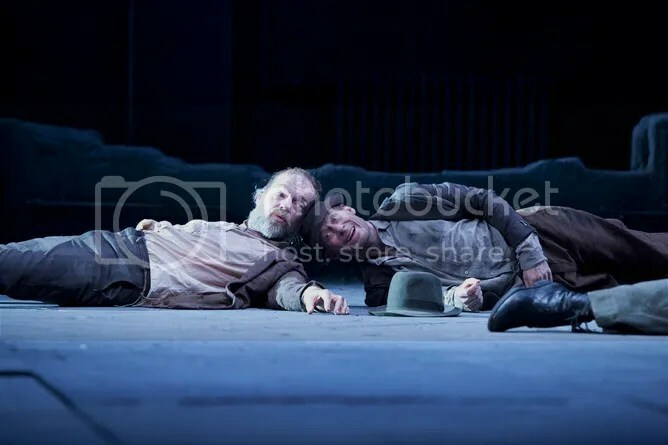 There are few qualities more touching in any circumstances; in Godot they temper and illuminate one of the harshest and most unforgiving dramas of the 20th century. Life is envisioned as a cruel paradox. We can have hopes for the future but can possess no knowledge of it. This is for the best, of course. If we had the power of foresight all hope may well be extinguished and with it the desire to go on. No matter how unendurable the present is, it will be endured. Memory – the only way in which we can know ourselves – may possibly sustain us, but is deeply unreliable…. Upton doesn’t go soft on the play… He and an unimprovable group of actors delve into the core of the matter and find a persistent spark of humanity in the midst of desolation…. 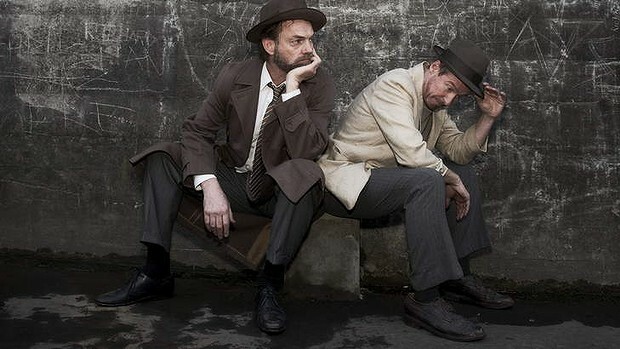 Hugo Weaving’s Vladimir and Richard Roxburgh’s Estragon are in a constant, restless state of anxiety, that much is clear. Vladimir just manages to hide it a little better. He is the one with carrots and radishes about his person when Estragon complains of hunger. He is the one insistent on meeting the obligation to Godot as a matter of honour. His speech is carefully chosen for rhythm and ever so slightly heightened effect. ‘For the moment he is inert,’ Vladimir says of the prone Lucky. Weaving’s locution is resonant and precise but his tense jaw, mobile mouth and wandering tongue give the lie to his apparent command of the situation…. 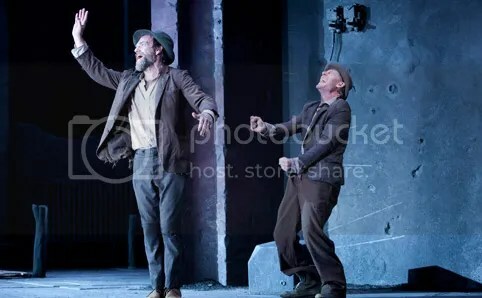 Estragon is the more obviously untethered and in need of protection, although there is much sweetness in his expression and his eagerness to please. 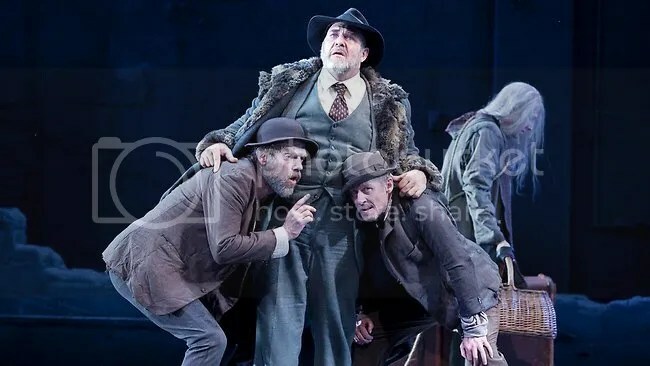 Roxburgh has a rare gift for being simultaneously heartbreaking and funny (his Vanya in 2010 was superb) and you could pick scores of examples from Godot…. 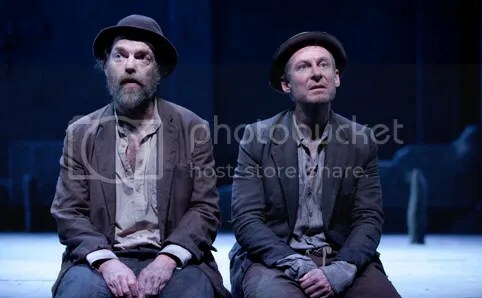 Matthew Clayfield, Time Out Sydney: “As statements on the human condition go, Waiting for Godot is pretty bleak stuff. Like most bleak statements on the human condition, however, it’s also a bit of a laugh riot. Stepping in for Hungarian director Tamás Ascher, who conceived of this production but was unable to travel to Australia to direct it, Andrew Upton handles the material with a light touch, never overstressing its heavier points…. 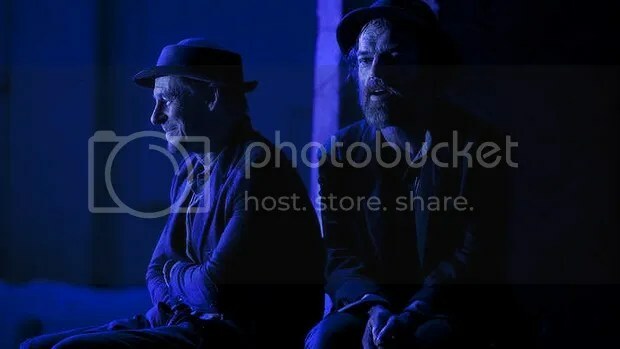 Sydney Theatre Company’s new production of Beckett’s Waiting For Godot, starring Hugo Weaving, Richard Roxburgh, Philip Quast and Luke Mullins, has officially opened after a week of previews. 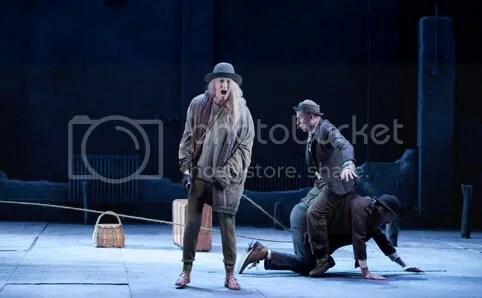 The initial reviews, both from critics and theatregoers, have been almost unanimously rapturous, which must please everyone involved after the trials of the rehearsal period (including now now-famous no-show of original director Tamas Ascher.) I’ll include print versions of the two high-profile newspaper reviews (from The Sydney Morning Herald and The Australian) but you should also check out the digital links too. 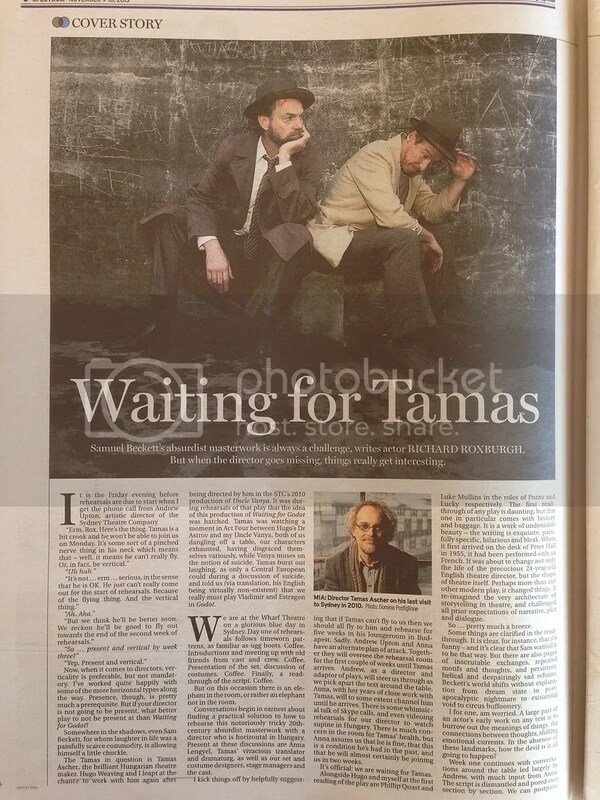 I’ll include Lisa Tomasetti’s photos from both of those reviews as well, and quotes from some theatre blog reviews. Nor have I ever interpreted the characters as “old vaudevillians”; some stagings highlight the comic aspects of the characters’ predicaments, but the best versions combine comedy and pathos– sometimes from one moment to the next. It would be lovely indeed to one day have the opportunity to compare this production to the current Broadway version. The reviews make them sound somewhat similar, though Weaving and Roxburgh are substantially younger than McKellen and Stewart, thus must have had to have formed a creative take on Didi and Gogo’s physical an mental maladies, which are symptoms of advanced age in the reading and in traditional productions. 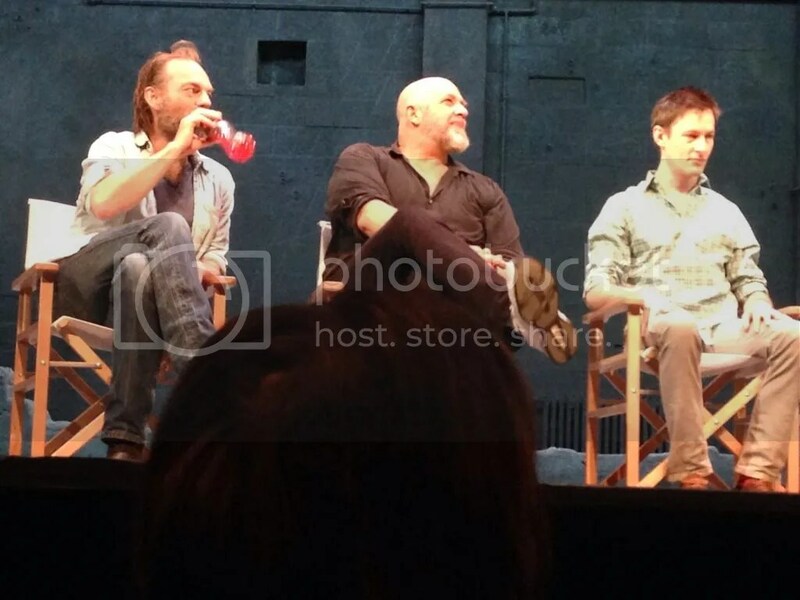 As for the bromance between Weaving and Roxburgh it is absolutely infectious. These two men are so in love with each other (in a platonic way) and they are having so much fun that it’s impossible to resist being swept away with them on a rollicking ride of impeccably timed comedy…. CJ: Love the review, but I’d implore all reviewers of this production and the Two Plays In Rep (McKellen/Stewart) version to PLEASE stop using the word “bromance” as if male friendship between these characters and actors must now be treated with a a glib, trendoid jokeyness. I’ll update with further reviews or photos as they become available, and would love to hear from anyone lucky enough to see this for themselves. 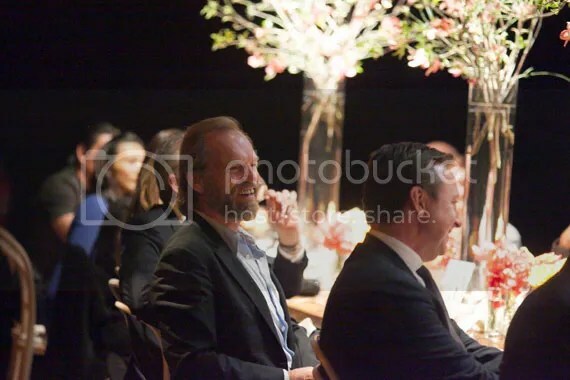 While there were several galleries of Opening Night photos of notable theatre guests (focusing on Cate Blanchett, of course), there have been oddly none of Weaving and Roxburgh after the show. But you can view photos of Blanchett, Upton, Jack Thompson, Josh McConville (who played Hugo’s son in The Turning) and others at Just Jared and FashionMagazine247. 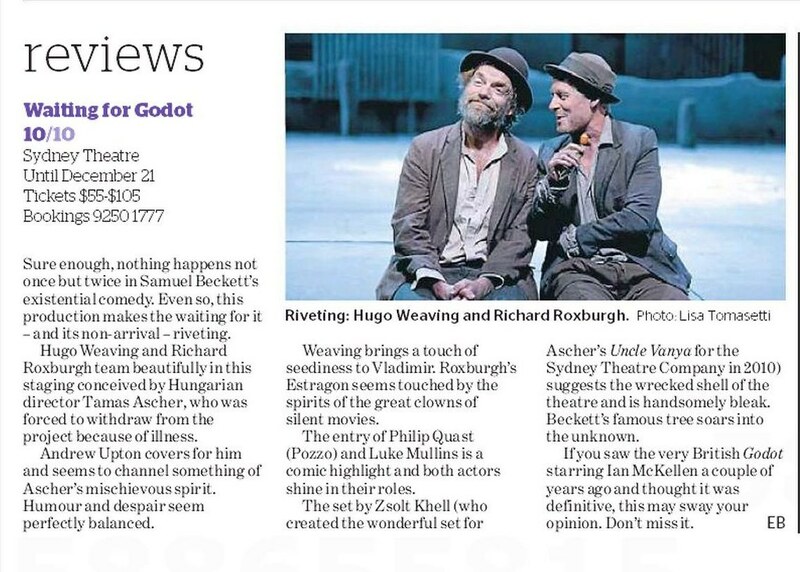 Two major newspaper pieces highlighting Sydney Theatre Company’s Waiting For Godot, starring Hugo Weaving and Richard Roxburgh, have appeared since the last entry. As usual, online versions and print versions differ slightly, so I’ll share both. “I could see when they were on slightly unstable footing. I could tell when they were absolutely flying and confident. I could read them like a book. Which was fantastic that I could read the signs. 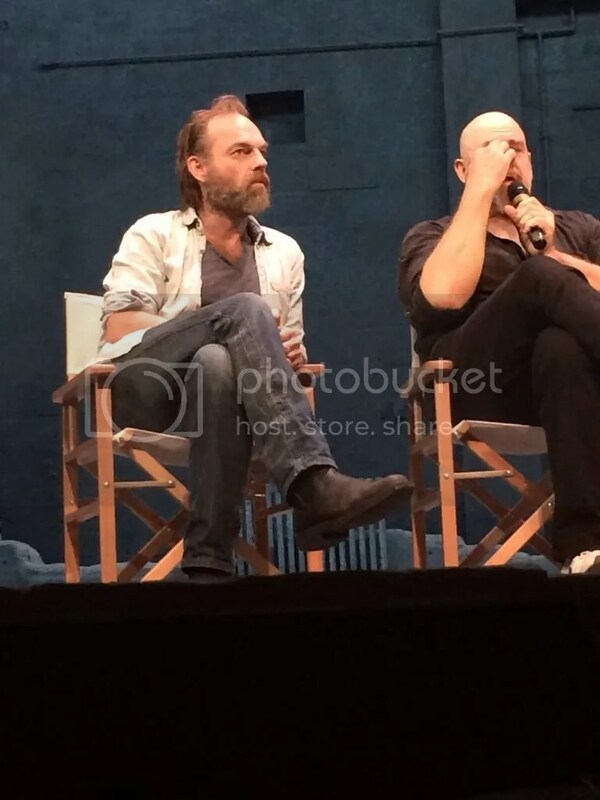 “And it’s this: when we’re in rehearsal talk as much as you like, but when you’re actually shooting, at the end of a take if the director wants to go again, in terms of direction I love a very quick, succinct, sharp direction. So we go as quick as possible into the next take. “It’s the thing that kills me as an actor. There’s too much time to exist between one take and the next. “I’m so hyper-aware of everything that’s going on, even if it’s a technical thing and the light needs to be moved. If the light’s moved and the First Asst. Director isn’t calling it to go into the next thing, or I can see people drifting off … it annoys me. I want to be kept in the zone. “Otherwise it’s like going back to square one to start up again. Direction from the director shouldn’t be a long-winded conversation at this point. At previous rehearsals, talk till the cows come home. But once you’re actually engaging an actor on set, just a few simple words. 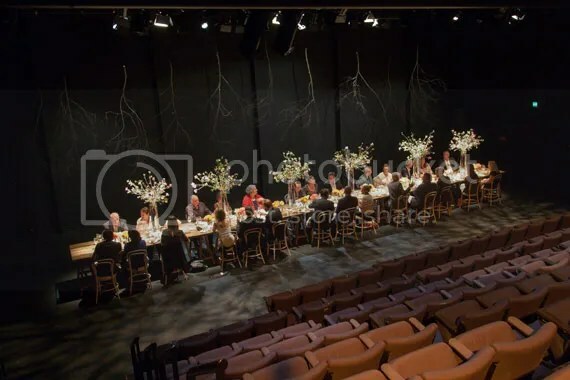 Vogue Australia posted a batch of lovely photos covering a rehearsal dinner for Sydney Theatre Company’s production of Waiting For Godot, which opens later this month. 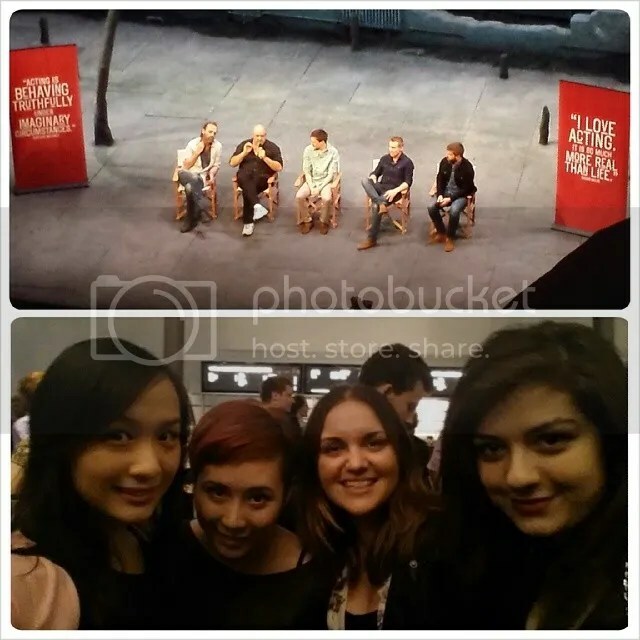 Lead actors Hugo Weaving and Richard Roxburgh shared insights into the often-trying rehearsal process. 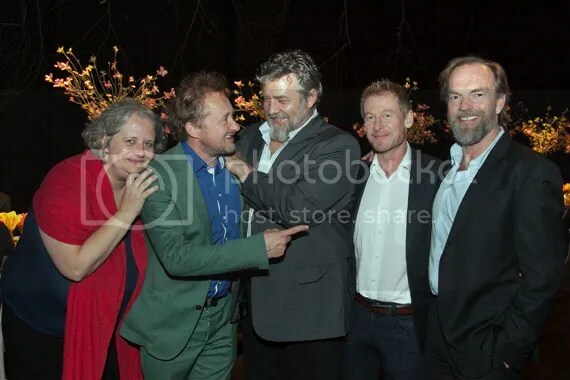 Costar Philip Quast and director Andrew Upton were also on hand. 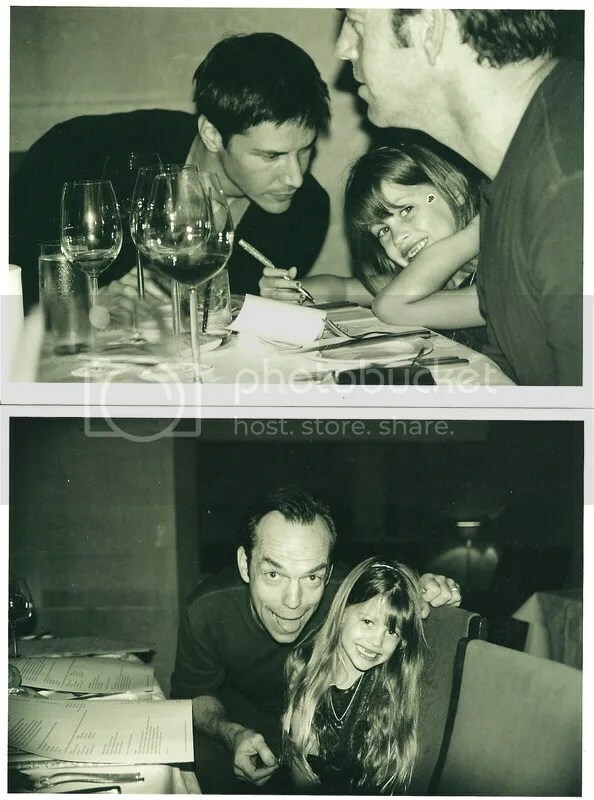 I’ll post the Hugo pics and quotes below, but you should check out the original piece (text by Mark Sariban, photos by Natalie Page) too. The STC production begins preview performances November 12 and runs through December 1 at the Sydney Theatre. Tickets and info available at STC’s website. If you’re in the US and unable to make the Sydney version, and are within reasonable distance of New York, I do encourage you to try and see the Patrick Stewart/Ian McKellen production if you can. I know Hugo and Richard at their best might have the chops to equal these actors, but it’s hard to imagine anyone surpassing them. I was lucky enough to catch the November 3 performance and am still in awe. This version runs through early March in repertory with Harold Pinter’s No Man’s Land at Broadway’s Cort Theater. More details and tickets available here. Hugo himself saw an earlier version of this production at the Sydney Opera House back in 2010; it also ran in London earlier, where it was filmed for the documentary Theatremania. Both productions have some discounted rush seats available for some performances; again, check out the websites in question for specifics. 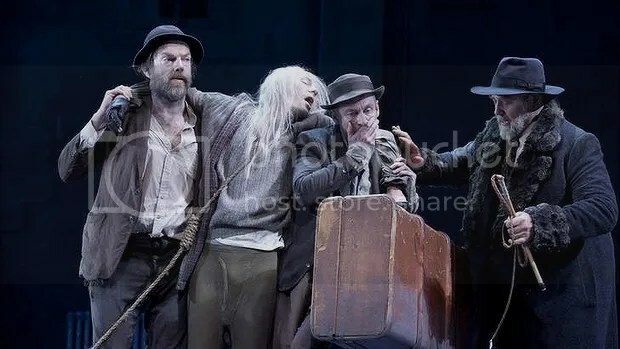 Nevertheless, the genesis of this production of Godot can in fact be traced back to the rehearsal period for Uncle Vanya. It seems in many ways it was meant to be. 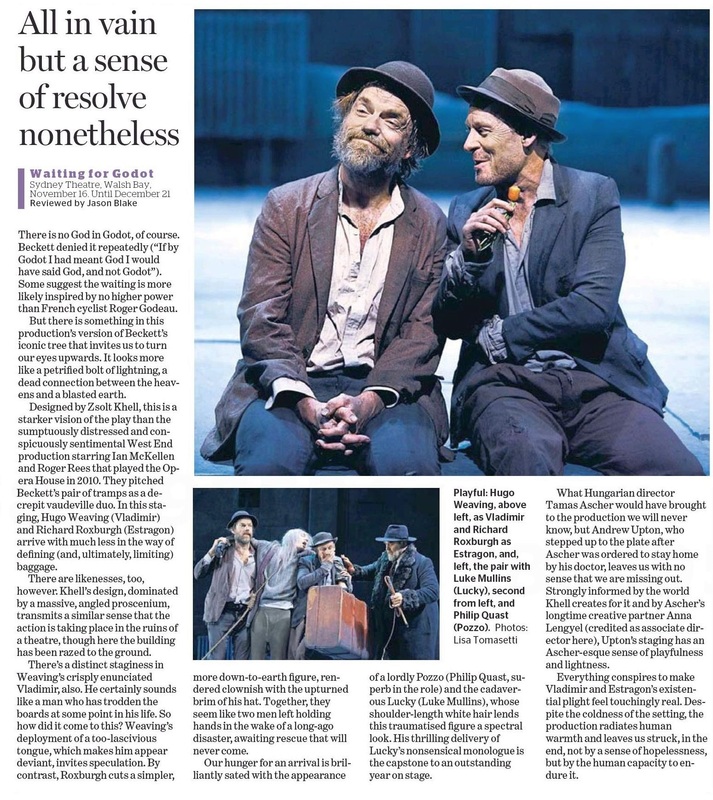 In case you missed Elissa Blake’s longer, excellent interview about Godot and profile piece on Hugo in the Sydney Morning Herald, I posted scans of the print version in my prior entry, and you can also read it in on SMH’s website. 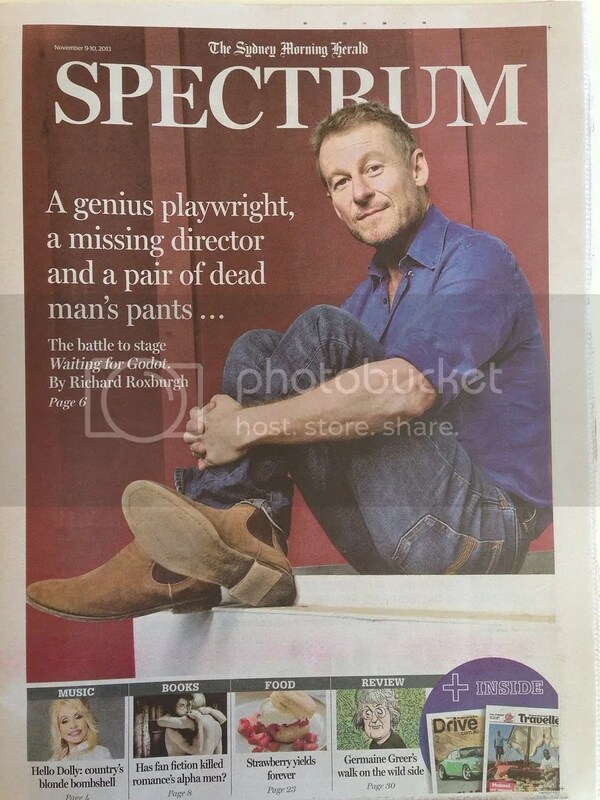 The Daily Telegraph interviewed Richard Roxburgh about the production as well. STC posted a colorful profile of playwright Samuel Beckett on their blog. Following its successful “special” full-length arthouse run in Australia over the past month, The Turning has now opened in New Zealand to mostly-positive reviews. Though the film doesn’t have the gala showcase there that it enjoyed at home, they do appear to be showing the unedited version, which (one hopes) bodes well for further international distribution of the intact film. You can read NZ reviews at Le Culturevore, The Dominion Post, The New Zealand Herald and TV.co.nz. Canberra Times and Film Ink, meanwhile, documented the film’s successful distribution strategy at home. Director Ivan Sen and lead actor Aaron Pedersen continue to shoulder most of the promotional duties for the film. You can read their latest online interviews at The Momus Report, Katie Uhlmann Chats (video interviews), and Crosslights. Scene-stealing costar Uncle Jack Charles was interviewed by ABC Radio. And there’s an article about the film’s sold out screening in Cairns in The Cairns Post. Though Kim Farrant’s psychological thriller (costarring Nicole Kidman and Guy Pearce) doesn’t start filming until early next year, there continue to be preview pieces about the Broken Hill locations, courtesy ABC Online, The Age and The Herald Sun. 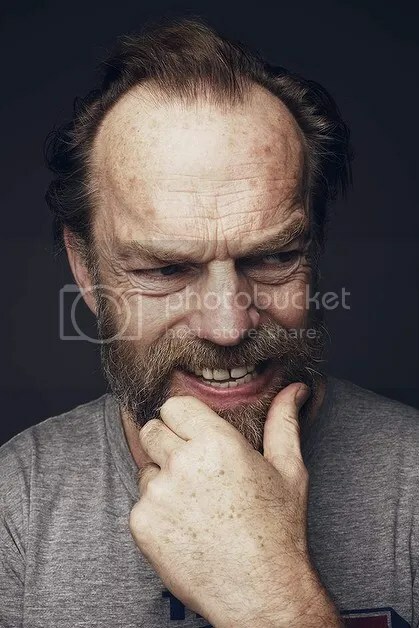 There’s still no clear evidence that Hugo Weaving (or Cate Blanchett) will appear in the second installment of The Hobbit trilogy, but promotion is kicking into high gear, and Hugo hinted he might attend the film’s Wellington premiere (if Godot’s performance schedule allows) in recent interviews. (Actors not in the first film, including Orlando Bloom and Evangeline Lilly, were on hand for last year’s An Unexpected Journey premiere.) New TV promos continue to appear almost daily; you can see the full lot at Warner Bros YouTube channel. I missed the November 4 CNN Event simulcast due to being away in New York, but you can see highlights here, a special behind-the-scenes look here, and the whole shebang here (footage actually begins at 10.00 in.). 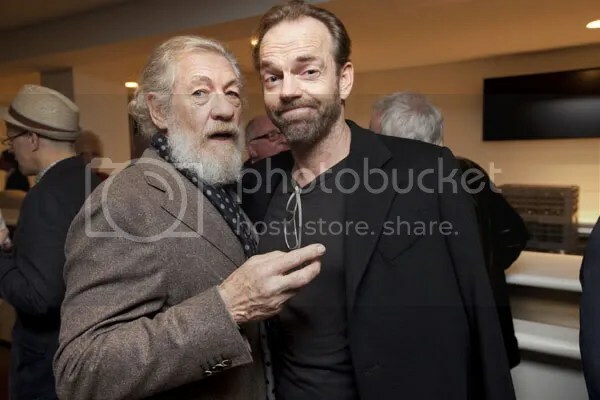 Hugo Weaving does not seem to have participated, but Peter Jackson and several cast members, including Bloom, Lilly, Andy Serkis, Lee Pace, Luke Evans, Richard Armitage and others were interviewed (Martin Freeman wasn’t on hand, but send a video greeting).